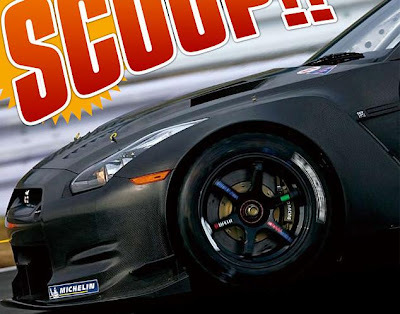 Autoweek dug up some new information on the Nissan GT1(?) race car. Still no confirmations on what class the car will run in. Just the fact it also did a five day test in Malaysia. The car, built by Nissan's NISMO competition department, completed a five-day test last week at Malaysia's Sepang circuit. "It is a test car. We are not claiming there is a specific category we are looking at, although this car has not been developed for Super GT," said Manaki Iwamoto, NISMO general manager of corporate planning. Iwamoto was here in the US for several years as the NISMO US representative. An Aston Martin GT1 test driver shows that they are at least doing some homework. Speculation suggests that Nissan will confirm its entry into the forthcoming GT1 World Championship when the series is launched, most likely in March. Asked when Nissan might announce any plans for the GT-R, Iwamoto replied that "it is very difficult to answer that question in the current financial climate." Nismo's first GT-R racer was shaken down by Nissan Super GT regular Michael Krumm at Fuji in Japan in late December. Aston Martin Racing regular Darren Turner joined up with Nissan for the Sepang test.